It is that time of the month again, where we offer one lucky reader a stunning product from one of our sponsors. 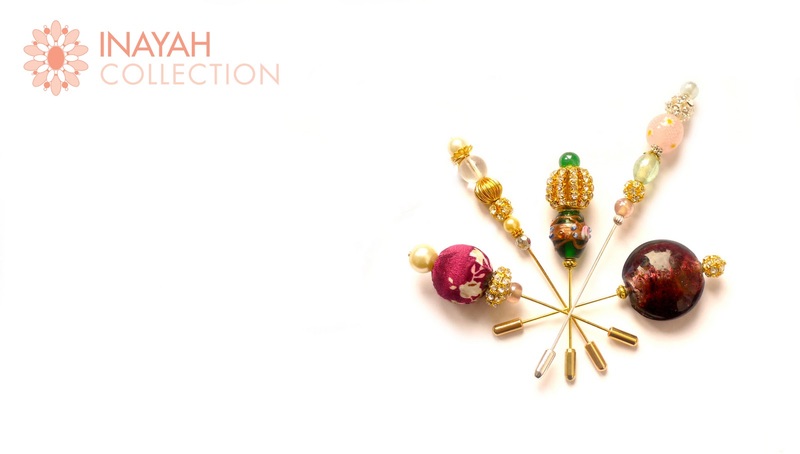 This month we have one lovely handmade signature pin from the Inayah Collection up for grabs. These pins are the perfect addition to a scarf, especially for an occasion and add that little bit of sparkle and glamour. The winner gets to pick their favourite one from the picture below. 3) Once you have done this let us know by commenting here, and you will be entered for a chance to win a pin of your choice from the above range. 4) Giveaway closes at 12pm 4th December 2011. We will not accept any entries after that time. 5) The Winner will be Announced soon After and chosen at Random. Note: We will cross-check to ensure you have fulfilled the entry requirements. *Beauty Giveaway* Makeup and more! Noor D’Izar – Feature and GIVEAWAY!